Window seats, coats, writing on a coffee shop--find out more things the author of The Girl Who Never Was loves! Plus, be one of ten winners of her swag giveaway! 1. Skylar Dorset is a pseudonym. Shhhh! 2. My mother has a dog named Benny. This dog was not named after the character Ben in THE GIRL WHO NEVER WAS (nor was the character named after the dog), but I smile every time I think about the two Bens in my life. 3. I have a rabid fangirl personality and encourage all of you to go forth and write TGWNW fanfiction. Seriously. 4. I was born on a Sunday. 5. I never what a book I’m writing is about until I type “The End” at the end of the document. I get to be as surprised by the plot twists as the readers are! 6. I prefer window seats when I fly because I like to look out over all the world and make sure everything looks like it’s going okay. 7. I decorate for Mardi Gras every year, even though I no longer live in New Orleans. I think more people should decorate for Mardi Gras. 8. Coats are my favorite. If I was a world-famous celebrity, I’d buy so many coats that I’d probably never wear the same one twice. 9. I love the sound of a whistling tea kettle. 10. I went to summer camp a grand total of once. I was a first grader and they made me sit with the kindergarteners and I was so mortally offended that I refused to ever go back. 11. Sometimes I just have to spend an entire day just reading, and I’m okay with that. 13. I make really fantastic apple pies. My secret is I zap them in the microwave before baking them. Makes all the difference in the world. 14. I am addicted to writing in coffee shops. But I don’t actually like coffee. Yesterday: Dahlia Adler, author of Behind the Scenes. Tomorrow: Rachel M. Wilson, author of Don't Touch. Check out the schedule here. 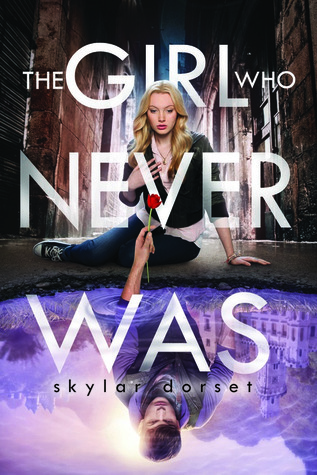 I actually own the book The Girl Who Never Was which I won in a giveaway! 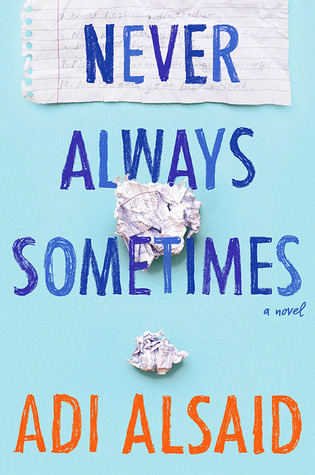 It's a lovely book and the cover is just amazing - I can't wait to read it! I also really like your blog, so thanks for making it! Ancient aunts and hunting gnomes, yes a story I want to read.